Sponsorship can create meaningful brand experiences. The brand can let the audience become part of the brand and product itself. But, the experience is always depending on the product’s interaction to the audience. Audience will engage if the brand uncovers their own assets within the event’s rights. Then, the sponsor can measure the mileage of how this event is success or not. Yes, measuring the mileage of successful event is the main pain point of sponsorship problems. Because a sponsorship agency shouldn’t only help a brand to deliver value and financial things, but it should also measure it. There are three key aspects to measuring sponsorship; understand the audience, lay the groundwork, and provide valuable data. Understanding the audience is important for the sponsor to engage them at the event. Because the brand can ensure that the audience associates their positive event experience with the sponsor’s brand. Besides the standard demographic information, the brand has to dig more insights from the target audience. Then after understand the audience, each party of this event must understand the roles they will undertake to achieve their objectives. Then the valuable data must be provided for assessing the success of the sponsorship. Those key aspects sometimes uneasy to pursue, especially collecting then analyze the valuable data. Hard job, we know. So, to make it happen, the brand and sponsorship may need an event management solution like PouchNATION. In PouchNATION, we have a special system to collect all data, analyze, and process them into complete information. We can also track engagement and create mechanics for activities that help ensure higher engagement. Most important, not only can we do all this but we can go another step further with helping acquire guests as customers for these brands in the process. Giving directly measurable marketing efforts at a lower Customer Acquisition Cost. 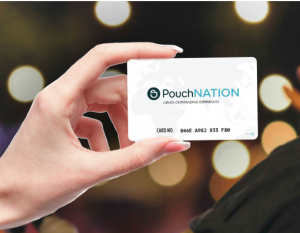 PouchNATION can collect data on user behavior with higher levels of precision than GPS and other tracking tools that depend on an Internet connection. We will focus on collect data around customer’s spending behavior, personal references, heat maps, crowd moving patterns, and the others. After collect the data, we’ll analyze and give all valuable information that will help sponsorships measure their mileage. With PouchNATION, measuring data is just a piece of cake.